We were lulled early on into a false sense of security soon going 1-0 up from a very good team goal finished off by John Land. However, almost immediately we gave away a soft goal failing to satisfactorily clear our lines, then quickly conceded a second from a really unstoppable bullet of a shot. At 2-1 down we were still competing well, but again failed to clear our lines and conceded a third goal. In true LX spirit the game was played in a very good humoured manner with everyone doing their level best despite the unkind weather conditions and the considerably younger opposition! Having watched our other team draw 2-2 and feeling optimistic about our chances they were soon dented as the score all too quickly became 3-0 to our opposition. Just before half-time we rallied to score from a short corner with a well taken flick from Richard Slator. Shortly after half-time David Durrans sped down the right wing and provided a precision cross for Captain Martin to score and bring us right back into the game. Unfortunately, this was shortly followed by a 4th goal from our opposition. David Thompson came on to replace David Wilkinson and scored almost immediately with a very fine flick. Our fourth goal and the final one of the match came from a goal mouth scramble finally pushed over the line from all of 3 inches by John Land. 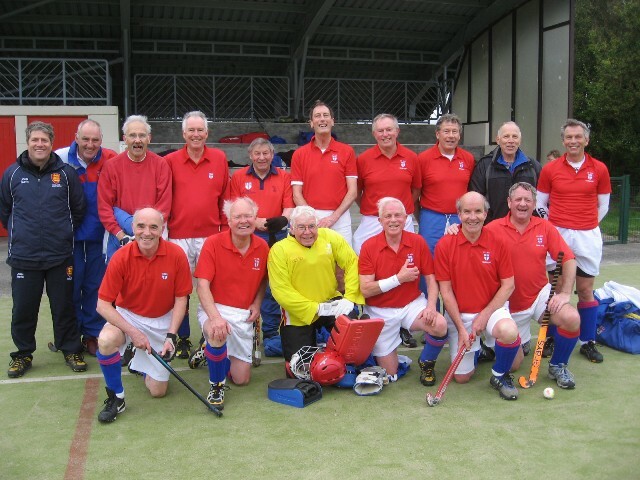 Jersey then piled on the pressure but LX hung on – well done the old guys, even the Jersey players were impressed. Squad:- Goodridge, Rowbotham, Pickering, Longden, D B Read ( capt), Clarke,Smith, Ridings, Money, Colwill, Thompson, Woolcott, Durrans. It was good to have so many new Jersey tourists, 25 players and 25 ladies. A couple of our younger players Richard Slator and John Smith added some very much needed stability and speed to the centre of both teams. The weather was not of the best but the party was very up-beat all weekend with ten of our ladies braving the weather and walking the 5 miles from the hotel to the pitch (coffee en route naturally!). The hotel provided a very pleasant and relaxed dinner on Friday evening getting the weekend off to fine start. Following Saturday’s games, we all embarked by coach for The Moorings Restaurant in Gorey (by popular request of last year’s tourists) and once again we were served up with a delicious meal and superb wine. 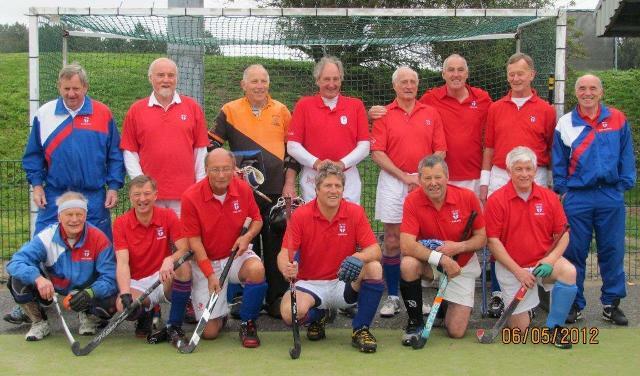 Following our games on Sunday morning we imbibed of some local hospitality with our Jersey hosts. Sunday evening saw us returning to June and Tim Pollard’s home where they managed to feed all 46 of us in their normal generous style and of course all the new tourists were entertained with a display of Tim’s magnificent train set. Congratulations to everyone involved but especially Tim and June for making it once again a great weekend for everyone involved.